Ed note: This article is the fourth in a series in which we are seeking to respond to a few of the criticisms of both nouthetic counseling and Dr. Adams personally. The series will conclude Thursday with an important new article by Dr. Adams. We are never surprised when unbelieving secular psychologists attack nouthetic counseling. Nor are we surprised when Christian brothers who have embraced an integrationist approach to counseling are critical. While we are glad to interact with these brothers we do expect our views to be accurately and fairly represented in their criticism. We have little patience for those who would misrepresent us and build straw men in order to facilitate their arguments. Especially grievous are those who would persist with false accusations even after they have been demonstrated to be wrong. Today we will look at one example. A second “evaluation” is a shot at Dr. Adams personally. “Adams seems to be not fully knowledgeable regarding the theories he criticizes” (p 799). As evidence they pull one passage about Carl Rogers from Competent to Counsel out of context. Throughout the article special note is made of the fact that “Adams has a doctorate in speech,” he is “seminary trained,” “he served in a pastorate.” It is all quite condescending. Those who read Jay Adams should know that Adams began his seminary training at the age of 16 and by the time he completed both seminary and his training at Johns Hopkins University, he was an accomplished Greek scholar and theologian. It is with those skills he approached the study of psychology in the 1960s. 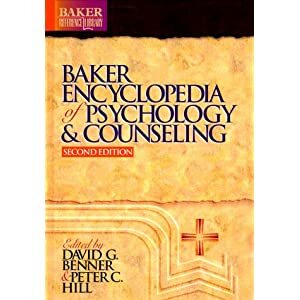 If you ever have opportunity to visit our offices here in Greenville I will show you the hundreds of volumes of psychology books Jay pored over in those days. Each one is heavily marked with marginal comments and arguments Jay made with each author. Question: Do you believe that all of our problems are due to sin? Answer: Yes and no. That is not an equivocal answer; the question is imprecise and, therefore, requires such an answer. Yes, all problems are the consequence of sin, if by that one means that ultimately they have the sin of Adam (or Satan) as their ultimate cause. All personal differences with God or neighbor ultimately stem from that cause. All bodily afflictions, and death itself go back to that source. But I must say no in response to the question if by it one means that all sickness, all evils that he confronts, and all difficulties and distresses that he experiences in life are directly traceable to some immediate sinful cause in the life of the one who undergoes them. That is not a biblical concept. The case of the blind man and John 9 gives the lie to any such notion, and the entire book of Job is a sturdy witness to the contrary. This canard has also been answered in many forums over the years. You can also read a fuller response on our website. Yet it is enshrined in what the publishers put forward as a scholarly and authoritative reference work. This entry was posted in Counseling by Donn Arms. Bookmark the permalink.